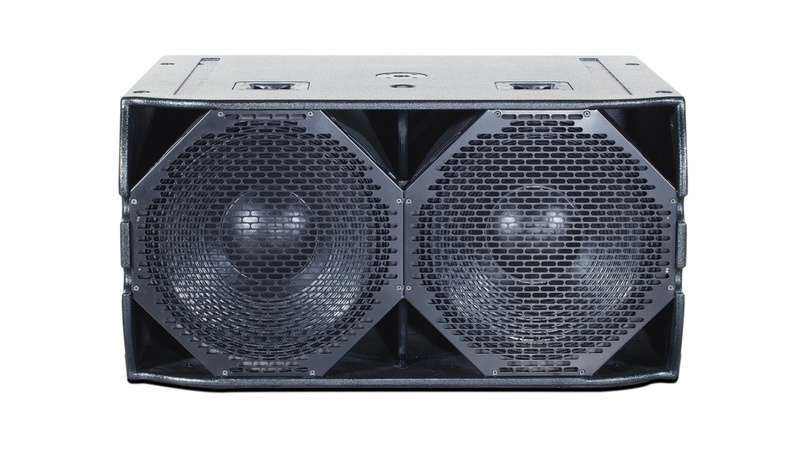 The K-array Ko40 and Ko70 are self-powered, Sub Bass speaker systems. They are best suited for high-power extended bass response applications in arenas, theatres, concert halls, churches, and outdoor events. The 21″ speakers employ neodymium magnets and 6″ voice coils driven by powerful D-class amplifiers. The large ports are designed toa be fully symmetrical to the speakers, which means the back loading on the drivers is consistent and even with no port air turbulence. The triangle port construction also provides excellent structural integrity and strength, effectively eliminating any box resonance. The Ko40 and Ko70 are an effective companion sub to the KH4 and KH15 powered mid-high speaker systems. When used with the KS4 bass element the combination becomes a very effective, directional bass system with a prodigious output. An internal DSP module provides control presets. Dedicated software allows for remote control of the speaker from a PC. All the Ko40 and Ko70 components are designed by the K-array R&D department and custom made under the K-array quality control system.